Bergen: Key question for investigators: What kind of bomb was used in Manchester attack? Peter Bergen: Key question for Manchester bombing: what kind of bomb? If hydrogen peroxide (a good possibility) how was it built, concealed? (CNN)As investigators look for key clues in the Manchester bombing, one of the most important questions to answer will be: Was this a hydrogen peroxide-based bomb? And if so, where was it constructed? And, how did the Manchester perpetrator learn how to build his bomb? To recap: Manchester is reeling from the worst terrorist attack in the United Kingdom since July 7, 2005 when al Qaeda-trained suicide bombers killed 52 commuters on London’s transportation system. The attack in Manchester Monday at the Ariana Grande concert killed at least 22 and was carried out by a suicide attacker, officials said. Suicide attacks are quite rare in the UK. Indeed, the Manchester attack is the first suicide attack since the London transportation attacks 12 years ago. Like school shooters, terrorists study previous attacks. The attack at the Ariana Grande concert may well have taken some of its cues from the ISIS-directed attack on the Bataclan theater in Paris, where an American rock band, the Eagles of Death Metal, was playing on November 13, 2015. The ISIS-trained attackers killed 89 at the theater. The attack in Manchester was also directed at a concert that featured an American pop star and, like the Bataclan attack, it aimed for mass casualties. There are many questions about the attacker in Manchester. Did he act alone or did he have supporters? Already the British police have arrested another individual in Manchester, though his connection to the attack is still unclear. Did ISIS or al Qaeda inspire the bomber or was he directed, or even trained, by one of these groups? Or, as seems less likely, was he associated with some non-jihadist ideology or group? On Tuesday, ISIS claimed responsibility for the Manchester attack, saying that a “soldier of the caliphate” had planted the bomb. Typically ISIS’ claims of responsibility have some merit, although at this point it’s not clear if this is ISIS opportunistically claiming credit for an attack by an ISIS-inspired supporter or if the group directed or trained the bomber. Case in point: When Omar Mateen killed 49 at an Orlando, Florida, nightclub on June 12, 2016, ISIS — in a statement issued after the attack — described Mateen as a “soldier of the caliphate” despite the fact that Mateen had had no training or direction from ISIS but was instead simply inspired by the group. According to the BBC, around 850 militants from the United Kingdom have traveled to Syria or Iraq to support or fight with groups such as ISIS. About half of those have returned to the UK. As investigators bear down on the Manchester tragedy, a key question they’ll be looking at is what kind of bomb-making materials the Manchester attacker used. When ISIS and al Qaeda have attacked or plotted attacks in the West in the past decade or so they have invariably used hydrogen peroxide-based bombs because acquiring military-grade explosives or dynamite is nearly impossible for would-be terrorists in Western countries. Hydrogen peroxide, on the other hand, is ubiquitous since it’s used in hair bleach. 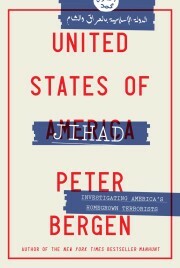 Hydrogen peroxide-based bombs were used in the London bombings in 2005; in al Qaeda’s foiled plot to attack subways in New York City in 2009 and also in the ISIS-directed Paris attacks in 2015 and the ISIS-directed attacks in Brussels a year later. If a hydrogen peroxide bomb was used in the Manchester bombing it would likely have been assembled in some kind of crude bomb factory, as these types of bombs are not easy to construct because the chemicals involved are both toxic and quite unstable. A hydrogen peroxide-based bomb would also imply some kind of training, as building one of these bombs is generally not something you can do by simply reading instructions off the Internet. In al Qaeda’s 2005 attack in London, for instance, the plotters rented an apartment to serve as their bomb factory where they mixed up the chemicals. As they brewed up batches, they wore disposable masks because of the high toxicity of the materials and they installed a commercial-grade refrigerator in the bomb factory to keep the highly unstable bomb ingredients cold. Similarly, when an al Qaeda-trained bomber, Najibullah Zazi, tried to blow up bombs in the subway in New York City in 2009 he rented a motel room in the Denver area to build his devices before driving them in his car to Manhattan. Luckily, the FBI was tipped off by British intelligence just before Zazi left for New York and he was later arrested.